I must REALLY REALLY like ya’all because I am about to share my super-secret chili recipe. Some things are sacred, this recipe comes close. 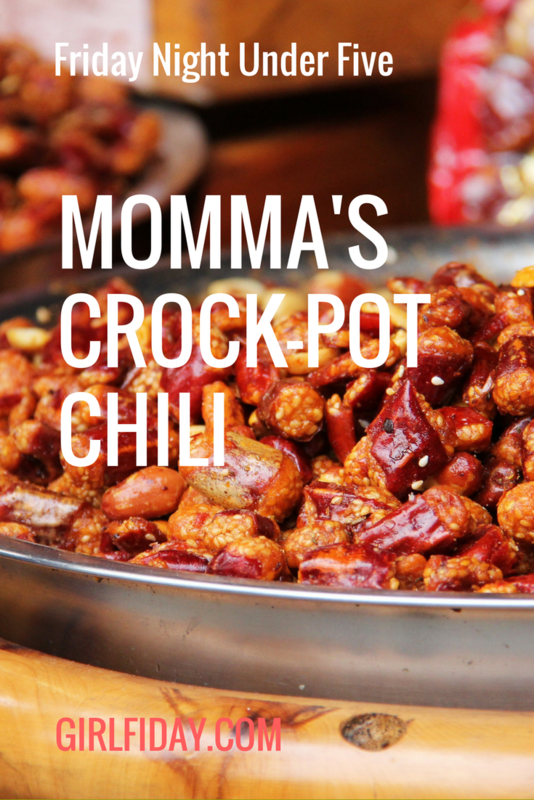 It’s a family favorite and we always end up with empty bowls and full bellies. It is so simple to make; takes just a few minutes, but you’d never know it. Let it crock all day and make sure you leave left-overs, it tastes even better the next day! Serve with some home-made corn-bread. Your family will love you. I am also including two versions. For years we ate this recipe with ground turkey and LOVED it. We switched to a mostly plant-based diet last year and so I have omitted the meat. It is just as delicious without it. However, my oldest children still eat meat, so I usually end up making a batch of both and freezing some for another meal. Add enough water to fill the pot to just under the beans. Tip: let it cook for a few hours and then taste it. If you think it needs more spice, have at it! Better to add not enough in the beginning than too much! To thicken the chili, during the last 30 minutes, mix about 3-4 TBS of flour in COLD water until all the lumps are gone. Then stir into the chili as you pour it. The chili should thicken fairly quickly. If it’s not thick enough, repeat the process. Tip: If you cannot get all the lumps out, pour through a strainer. Brown ground turkey or beef then add in chopped onions, minced garlic and a bit of salt and Italian seasoning to taste. It’s done when the onions are translucent. Add browned meat into the crock with all the other ingredients. You can also substitute the veggie broth with chicken or beef broth. You pick! Our family hopes you enjoy this favorite. It comes to you with a lot of love.